Guess Who Said These Quotes: Ancient Philosopher or Celebrity? Sometimes we find wisdom where we’d least expect it. Can you guess where these quotes came from? Sage words from great thinkers can help ground us, inspire us, and put things into much-needed perspective. And the most memorable wisdom can come from many sources, from Socrates to Kamala Harris to Jonathan Van Ness. This is the third part in Thrive’s quiz series: “Who Said It: Celebrity or Ancient Philosopher?” (Take the first and second quizzes here.) Enjoy seeing how many you can correctly match to their source — philosopher or celebrity? Follow us here and subscribe here for all the latest news on how you can keep Thriving. Stay up to date or catch-up on all our podcasts with Arianna Huffington here. Mallory is an Associate Editor at Thrive Global. She brings to Thrive a multifaceted background spanning science editorial, brand strategy, publishing, and partnerships. She was recently Associate Editor on “It’s All In Your Head” by Keith Blanchard (Wicked Cow Studios, 2017), an illustrated brain science book, and worked closely on its accompanying cross-platform partnerships with Time Inc. and WebMD. She spends her off-hours curating playlists, practicing restorative yoga, and savoring a good cigar now and then. 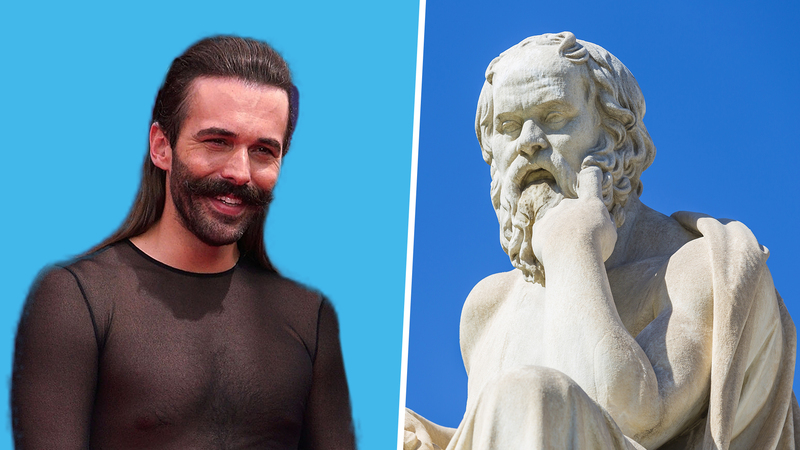 Who Said It: Celebrity or Ancient Philosopher?